Arv Furniture is committed to provide safe and secure shopping experience for our customers; this is why we take extra measures to ensure your confidence in shopping with us. Arv Furniture has been conducting business since 1996. We believe in long term business. Sucess of ARV Furniture comes from the support and loyalty of our customers. To ensure that all our customers receive the utmost service, we offer a dedicated Customer Care. Most items that are sold by ARV Furniture come from manufacturer or supplier's warehouse. Besides traditional forms of payment, we also offer a PayPal payment and Email transfer options. By using Pay Pal you can make your purchase without giving your financial information to Arv Furniture. All items are guaranteed to be brand new unless otherwise noted. All the sales are final on floor model/ custom made/ special orders. Product on clearance or final sale might have some defects. All floor models are sold on as is basis. Prices do not include shipping, setup or disposal of garbage. Shipping is usually arranged, on behalf of a customer, with a third party carrier. We are not responsible for delay / damage/ charges for the shipping. We do not accept cancellation of order in case of the carrier was unable to deliver on time / at specified location or delivered damaged goods. Once the goods are accepted and signed for in good order, no claims will be accepted. The only exception is the manufacturer s warranty on the product.All the deliveries will be made on "GROUND LEVEL FLOOR" of the house or building. Product information described on our website is based on the information available from the manufacturer and their website so for any discrepancies or errors, we should not be held responsible. The product descriptions provided in the pages of this Website are provided strictly for your convenience and are for informational purposes only. Although we believe that these product descriptions are correct, and we attempt to keep the information in the pages of this Website current, the product descriptions have been provided to us by the manufacturers of the products, and we do not warrant the accuracy, completeness or currency of the product descriptions or of any information in these pages. You can always contact our store to see if the product is available for immediate purchase. The entire item we sell here is either manufactured locally or imported from China/Malaysia. Imported items are usually stocked by us or our Importer but are sometimes out of stock due to delayed shipment from China/Malaysia. Many items are delivered within 14 days but please allow up to 3 to 8 weeks on some items. We are dedicated to work hard for you; nonetheless delays and circumstances out of our control due to manufacturer procedures may occur. However we are not responsible for manufacturer delays, and as such cannot be held accountable for any inconvenience or any cost incurred by such delays. If you have NOT received your merchandise, you may cancel all or part of your order within 48 hours of placing your order without a charge or fee by contacting us. No cancellation will be accepted to special orders. If you receive furniture with concealed damages, simply call our Customer Care department within three days of delivery or pick up of the furniture and it will be repaired without any cost to you by one of our specially trained technicians. If a repair is deemed by our trained specialists to be too complex to be completed in your home, the product will be returned for manufacturer repair at either ARV Furniture warehouse facility or directly at the manufacturer. Should your item be deemed as un'repairable by the manufacturer, it will be replaced with same product. If that product is no longer available, a reselection of the damaged item may be offered. The replacement of one piece does not entitle you to the replacement of any other piece in a set. If the same item is not available, we will issue an INSTORE CREDIT towards new merchandise. Manufacturer's standard: It is important to note that certain products, like wood and leather, are natural products and may come with slight imperfections in finishes; these are not defects but the nature of the product and as such are not covered under warranty. For fabric upholstery certain characteristics of fabric are normal, and signs of usage (such piling, loss of pile, high pile crushing, and color fading due to lighting and/or direct sunlight), are not considered manufacturer defects. For upholstery foams and cushions, it is important to note that with all foam products, a slight loss of resiliency is to be expected, and is not a defect. USAGE: It is important to note that the manufacturer's warranty covers cases of normal use. Signs of commercial use, animal damages, abnormal use or abuse will null and void the warranty. As the initial year of warranty is covered directly by the manufacturer, you will have to contact them directly after 30 days. Warranty coverage does not apply to furniture that has been soiled, stained, intentionally misused, altered, improperly cleaned, infested, damaged in transit, or otherwise damaged in a way that is not the result of defect in the workmanship of the product. "AS IS" , Floor Models, Clearance items carry no warranty and the sale is final (except where prohibited by law). Guarantee of Fabrics' Since manufacturers of upholstered fabrics do not guarantee their merchandise from shrinkage, color fastness, or quality wearing, we are unable to consider adjustments, claims or credits for fabric merchandise. Mattress Warranty Programs:Your warranty is specific to the brand of mattress and/or box spring you have purchased. Please refer to the warranty sticker attached to mattress. 9. ARV Furniture reserves the right to limit quantities, refuse orders, terminate accounts, and/or cancel orders in its discretion, including, without limitation, if ARV Furniture believes that customer conduct violates applicable law or is harmful to the interests of ARV Furniture or any third parties. 10. The advertisements on the Website are invitations to you to make offers to purchase products and services on the Website and are not offers to sell. All prices and other amounts appearing on the Website are quoted in Canadian dollars. Prices posted on this Website may differ from those posted in store. Except as explicitly provided in the foregoing paragraphs, ARV Furniture makes no representations or warranties of any kind, express or implied, regarding the websites and/or any materials provided on the websites, all of which are provided on an "as is" and "as available" basis. 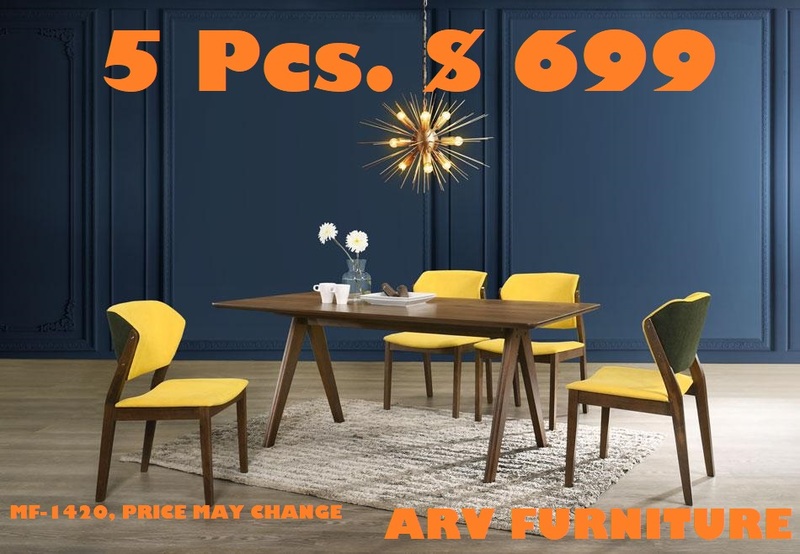 ARV Furniture does not warrant the accuracy, completeness, currency, reliability or suitability of the operation of the websites, or any of the content or data found on the websites, and expressly disclaims all warranties and conditions, including implied warranties and conditions of merchantability, fitness for a particular purpose, title and non'infringement, and those arising by statute or otherwise in law or from a course of dealing or usage of trade. ARV Furniture is committed to treating all people in a way that allows them to maintain their dignity and independence. We believe in integration and equal opportunity. We are committed to meeting the needs of people with disabilities in a timely manner, and will do so by preventing and removing barriers to accessibility and meeting accessibility requirements under the Accessibility for Ontarians with Disabilities Act. ARV Furniture endeavors to provide current and accurate information on the Website. However, misprints, errors, inaccuracies, omissions (including incorrect specifications for products) or other errors may sometimes occur. ARV Furniture cannot guarantee that products and services advertised on the Website will be available when ordered or thereafter. ARV Furniture does not warrant that the Content is accurate or complete. The Content is provided for informational purposes only, and is not binding on ARV Furniture in any way except to the extent that it is specifically indicated to be so. ARV Furniture reserves the right to: (a) correct any error, inaccuracy or omission at any time without prior notice or liability to you or any other person; (b) change at any time the products and services advertised or made available for sale on the Website, the prices, fees, charges and specifications of such products and services, any promotional offers and any other Website content without any notice or liability to you or any other person; (c) reject, correct, cancel or terminate any order, including accepted orders for any reason and (d) limit quantities available for sale or sold. All prices and other amounts appearing on the Website are quoted in Canadian dollars. You agree to indemnify, defend and hold harmless ARV Furniture and its officers, directors, employees, agents, partners, affiliates, representatives, successors and assigns from and against any claims, damages, losses, liabilities, costs and expenses (including reasonable lawyers' fees), actions or demands arising directly or indirectly out of (i) your use of or connection to the Website or the content therein, (ii) your activities in connection with the Website, (iii) your breach of these Conditions of Use, including your violation of, or failure to perform you obligations under these Conditions of Use, (iv) your failure to comply with any applicable laws or regulations, or (v) your violation of any rights of a third party. Thank you for your interest in Arv Furniture. We hope to do business with you. Please feel free to contact us, and we will be glad to assist you. 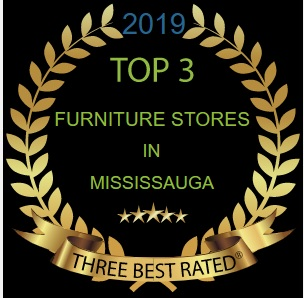 We look forward to working with you with all your furniture needs and we hope you come back to shop with us again.